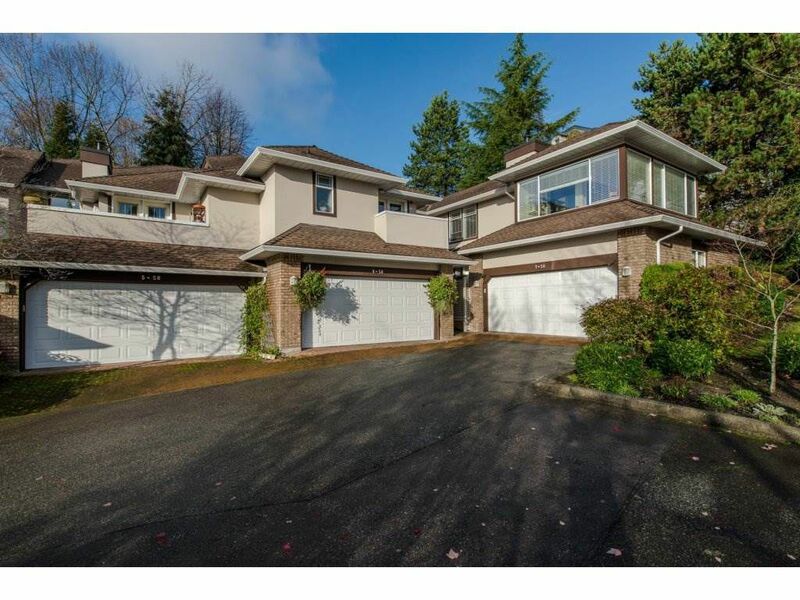 This bright and spacious end unit, adult oriented (19+) Fraserview townhouse is a rare find! Great central location walking paths just steps away and peak a boo views of the river. This home features an updated kitchen with plenty of storage and granite counters, a large master bedroom with a walk in closet and ensuite with separate tub and shower. It has a nice open feel and plenty of light thanks to the large solarium. Theres a great family room, another bedroom and a den down stairs. Don't forget about the two car garage. Open Houses November 19 & 20 12-3pm or call for your personal tour.